It’s been a long time since Kuwait has seen some real activity in the Chess-Scene. I, personally am working at something that will hopefully improve the feeling we have about chess in Kuwait. This “thing” will hopefully give us a boost in moral that we need to continue loving this sport. Anyways, last years’ Ramadan Tourney was short and very sweet. We had over 50 players participate in this once-a-year tournament. They came from all over. We had players from the Kuwait, Philippines, Egypt, Syria, India, Pakistan, Jordan, Palestine, and a few others that don’t come to mind. Since we didn’t have any activity in the past few months, I thought maybe I should re-post some of the pictures we took from last year’s Ramadan Tournament, the 3-min blitz tournament, auk chess tournament, presidents cup and also a few from the last Sharg Tourney. Hope you enjoy the pictures. 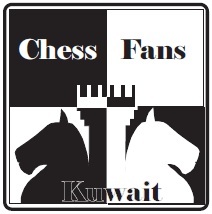 HERE IS SOMETHING NEW FOR THE KUWAIT CHESS FANS!!! Below are clips from an interview with Bader Al Hajeri (kuwait chess champion) on KTV3. He discusses the issues that the club is facing. The interview is conducted in Arabic on the Kuwaiti Television Sport Channel 3. And there is 3 parts. The First Video gives a quick overview of the situation. In the background, you will the taping of the Sharg Tourney of 2008! The Second and third video is an interview with Bader Al Hajeri. 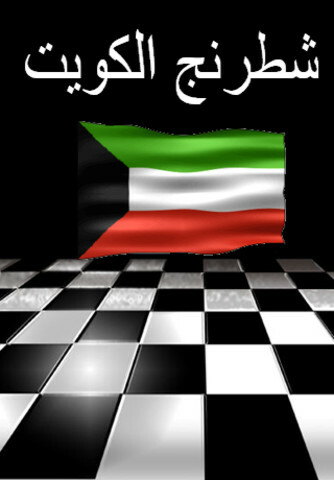 He discusses in detail that trails and tribulation that the Kuwait Chess Club is going through. Please feel free to post your thoughts and ideas about chess and ways we could improve our situation. 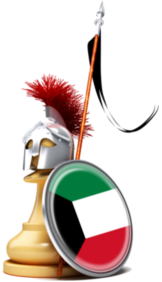 Hi , I would like to know if there is a chess tournaments for kids in Kuwait, if so when and where. And I would also like to know if there is anybody who is interested to come home and teach chess for my two boys who r 16 and 12yrs old, as they r very much interested in chess. Hello Sara. Usually all the tournaments in Kuwait are open to all ages, including teenagers like your sons. I recomment the Fischer Chess Tournament for you. It’s a great learning experience, extremely enjoyable, and everyone will be willing to teach the kids. People who play chess quickly become family 🙂 So if you can, look up the Fischer Tournament and sign up. There are still a few seats open. It would be a pleasure to meet you all.